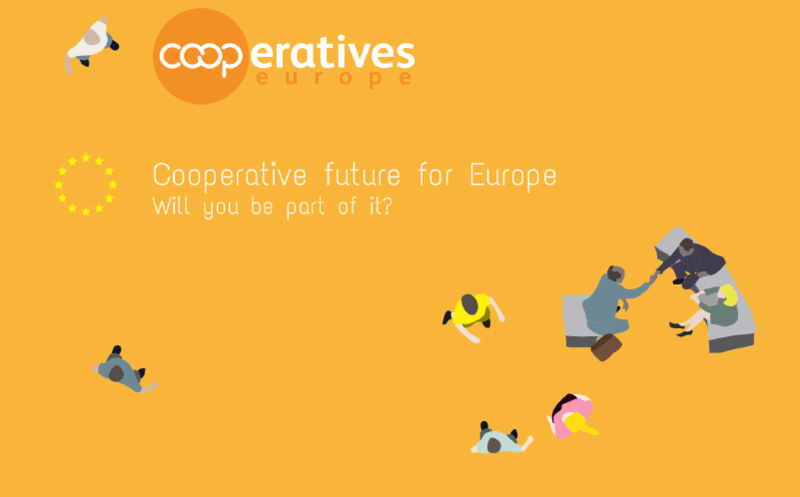 Cooperatives Europe has released its cooperative strategy paper "Cooperative future for Europe - will you be part of it?" on the occasion of the European Parliament elections to be held between the 23rd and the 26th May 2019. This document is the result of an extensive consultation process by the national and sectorial members of Cooperatives Europe. The strategy paper presents the contribution of cooperatives at the European level as well as the key priorities of Cooperatives Europe with the recommendations for action over the next years. The paper calls for a permanent and constructive dialogue with the European institutions, as Cooperatives Europe hopes for strengthened support to the cooperative movement by the newly elected European Parliament. We will support the work of the European Parliament to build up a resilient, sustainable and innovative economy which serves people’s needs and aspirations. We would like to work with MEPs to develop concrete measures in order to achieve the recommendations outlined. If you are a MEP willing to support Cooperatives Europe policy priorities, please contact consider becoming a #CoopSupporter and contact us. Read and download the Cooperatives Europe strategy paper & recommendations here.